Yogurt is rich in protein, vitamin D, calcium and vitamin B complex. And all above it contains probiotics that are healthy bacteria that promotes the digestion. But its benefits are not just restricted to health. When applied to the skin, it works like a wonder and gives a glowing and radiant skin. Because of the presence of lactic acid and zinc yogurt on face acts as a natural exfoliator, reduces blemishes, acne, dark spots and sunburn. It also acts as a natural moisturizer and makes the skin soft and smooth. You can also apply yogurt on the face to reduce wrinkles and fine lines as it prevents the premature aging and revitalizes skin. Being antibacterial and anti-fungal it also treats and prevents acne. After knowing so many beauty benefits you must be willing to apply yogurt on the face. Below are 8 yogurt face packs for different skin problems. To remove sun tan- Take a tablespoon of yogurt and add a teaspoon of lemon juice to it. Apply it all over the face and neck. Wait for 20 minutes and let it dry. Rinse off with water and pat dry. Repeat this every alternate day to remove tanning. To get a glowing skin– Take 2 tablespoons of gram flour, a pinch of turmeric, one tablespoon yogurt, a few drops of lemon juice, 1 teaspoon honey and 1 teaspoon rose water. Mix all the ingredients and apply on your face. Rub it gently and let it dry for 20 minutes. Now wash your face with plain water. Repeat this 2 times a week to get a glowing skin. For dry skin– Simply apply yogurt on face and neck. Remember, it should be creamy and organic. After 15 minutes, rinse off your face. This will lock the moisture, hydrate your skin, revive and will make it smooth and soft. To remove dead skin cell- Mix a tablespoon of oats to 2 tablespoons of yogurt and apply on your face. Rub gently with your fingertips and massage in circles to remove dead skin cells. Repeat this 2 times a week. To remove black and white heads– Add a teaspoon of rice powder to the quantity of yogurt to make a paste. Apply it to the areas with the black and white heads. Massage gently with your fingertips for 10 minutes. Now wash it with cool water. To treat acne and pimples– Add a pinch of turmeric and a teaspoon of sandalwood powder to a teaspoon of yogurt and apply it on the acne and pimples. After 15 minutes, wash your face. To remove dark spots– Yogurt has whitening properties. Just add a few drops of lemon juice to a tablespoon of youth and apply to your face. After 20 minutes, wash your face. Repeat this 3 times in a week. 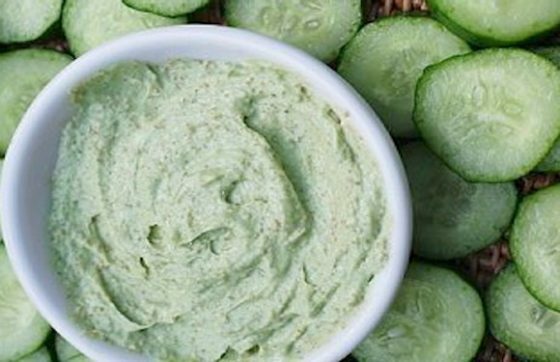 To Prevent aging– Grate some cucumber and add it to yogurt. Apply it on the face and leave it for 20 minutes. Rinse off with cool water. This will tighten your face and make the skin firm. Always remember to apply yogurt on the face, which is high in live cultures and fat. Better set it at home and avoid flavored and sweetened one.